Well hello! I didn’t mean to disappear for most of last week but I don’t know where the time went. I hope you’ve all had a great weekend. We finally got back to the bookstore this weekend and it was great to spend an afternoon surrounded by books and coffee. Anyway, I feel like my February reading has slowed down a lot but that is probably because I’m in the middle of six books and should just finish at least one before adding more to the stacks. What’s crazy is that four out of those six are mysteries. I usually only have one mystery going on so this is a bit odd but they are all different and good so I can’t complain. I will need to focus on A Small Death in a Great Glen as that is for my mystery book group meet up and of course it’s the one I’m most behind on. How does that always happen? 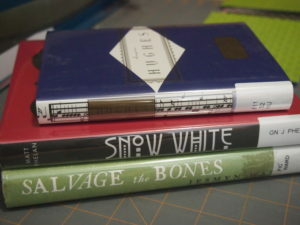 I also stopped by the library to pick up some holds and I got a Langston Hughes collection, Snow White by Matt Phelan (which Danielle recently mentioned), and Salvage the Bones by Jesmyn Ward. 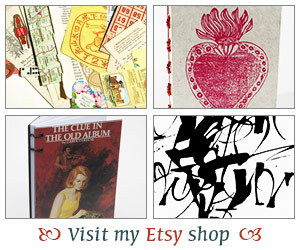 Oh and did you see the NYRB Winter Sale? I’m so tempted by several of these. If there are some you recommend please let me know. Alright back to my book group read. Tell me what you’ve been up to! I got Snow White from the library because of Danielle too! I picked it up Friday but the weekend weather was much too nice for me to be on the couch and reading. 🙂 It is always interesting when you have several books started at once! I wish I could read as many books at one go like you, Iliana. The most I could go is three books at a time, and that’s already challenging to me, lol. Hope you enjoy those books and have a good week! My reading has been slow because I am just in a mood. I switched to novellas and they seem to be the best thing for me at the moment. It always feels like I read less when I am juggling more than one book at a time. Unless it’s an audio and print book–they don’t have to compete for the same reading time. 🙂 I definitely have been reading less this month. I really enjoyed Langston Hughes’ stories in The Ways of White Folks last year: very accessible and each felt like meeting someone else in a neighbourhood – distinct and curious. I feel like I’m reading slower in February too, but I think that’s because I’ve begun toread more non-fiction and that moves more slowly for me (largely because I seem to have to reread a lot)! Snow White is great fun and so nicely done–I hope you enjoy it as much as I did!